KNX bus to commercial and industrial Daikin units interface. 2 DIN rail units. 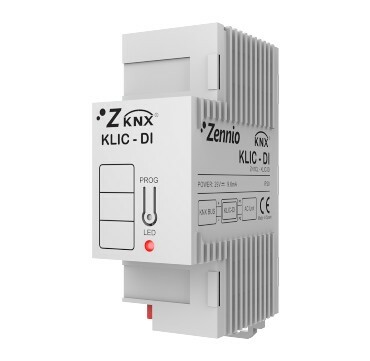 KLIC-DI is a bidirectional communication interface for integrating commercial and industrial air-conditioning units manufactured by Daikin with KNX.